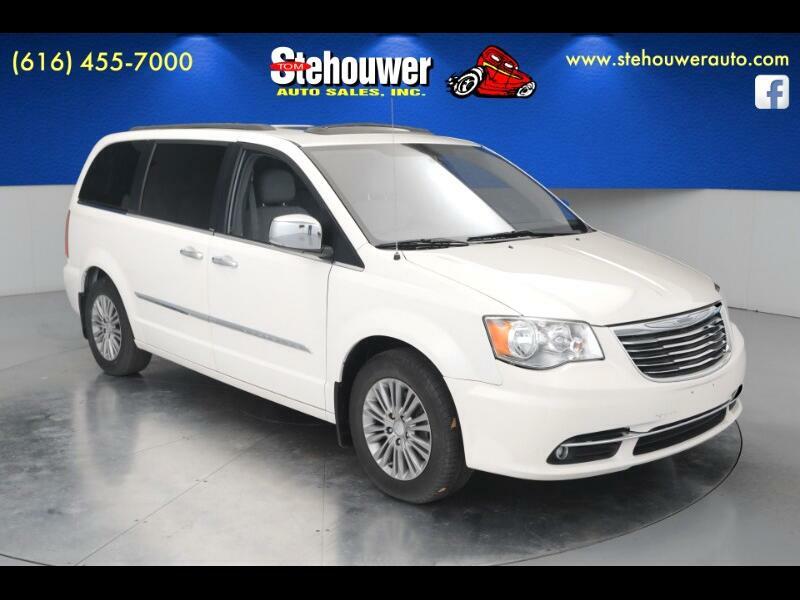 2013 Chrysler Town & Country Touring-L FWD 3.6L 6-Cylinder SMPI DOHC 6-Speed Automatic CARFAX One-Owner. Clean CARFAX. Actual vehicle shown!, light graystone Leather, 4-Wheel Disc Brakes, Bright Door Handles, Driver Convenience Group, Dual Rear Overhead Mini Consoles, Heated Front Seats, Heated Second Row Seats, Heated Steering Wheel, Keyless Enter-N-Go, Mini Overhead Console, Power Adjustable Pedals, Power Liftgate, Power Sunroof, Rear air conditioning, Remote Proximity Keyless Entry, Traction control. Financing for all! If you can't make it in we will bring the vehicle to you. www.stehouwerauto.com For over 34 years Tom Stehouwer Auto Sales has made it easy to buy a quality used car in Grand Rapids. We believe fair prices, superior service, and treating customers right leads to satisfied repeat buyers. Our friendly and knowledgeable sales staff is here to help you find the car you deserve, priced to fit your budget. Shop our virtual showroom of used cars, trucks and suv's online then stop by for a test drive. Visit Tom Stehouwer Auto Sales, Inc online at www.stehouwerauto.com to see more pictures of this vehicle or call us at 616-455-7000 today to schedule your test drive.